The Vineyards Apartments is one of several TWU Select Apartments complexes leased by TWU and designated for junior and senior students. 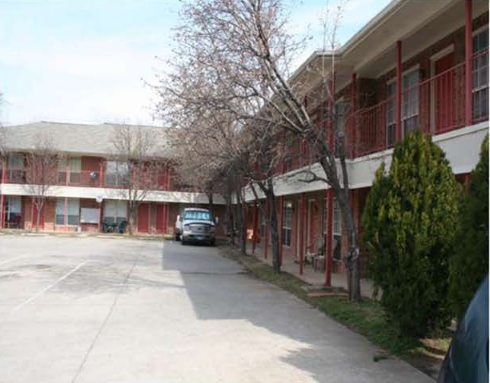 These communities are within walking distance to the TWU main campus in Denton. 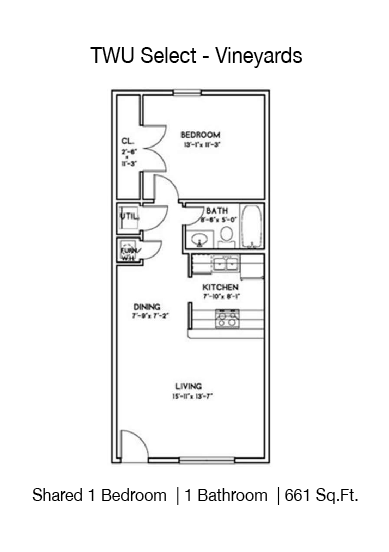 Each apartment is slightly different in floor plan. 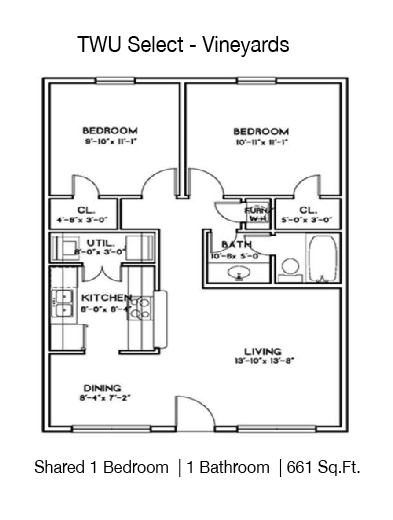 Apartments are 1 or 2 bedrooms with full kitchens and living room. 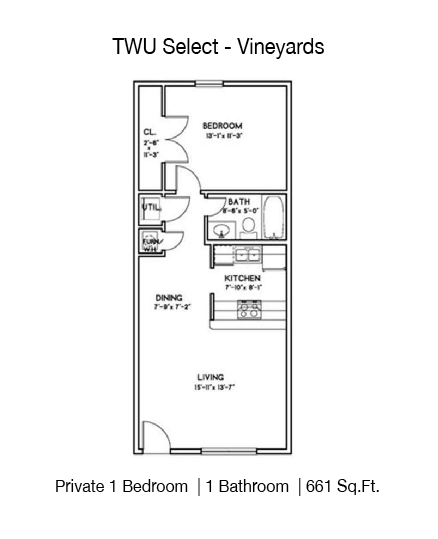 These unit are either private or shared bedrooms.